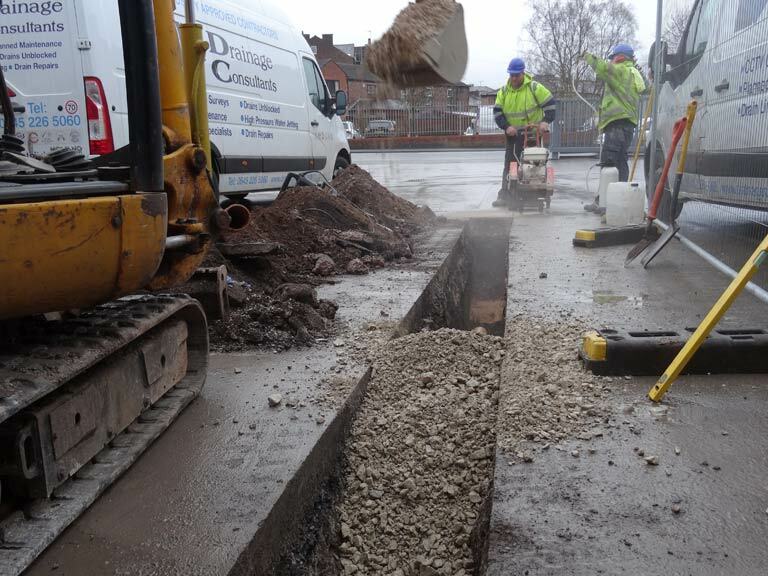 It is not always possible to repair or install drains and pipes without undertaking traditional trench excavation work. 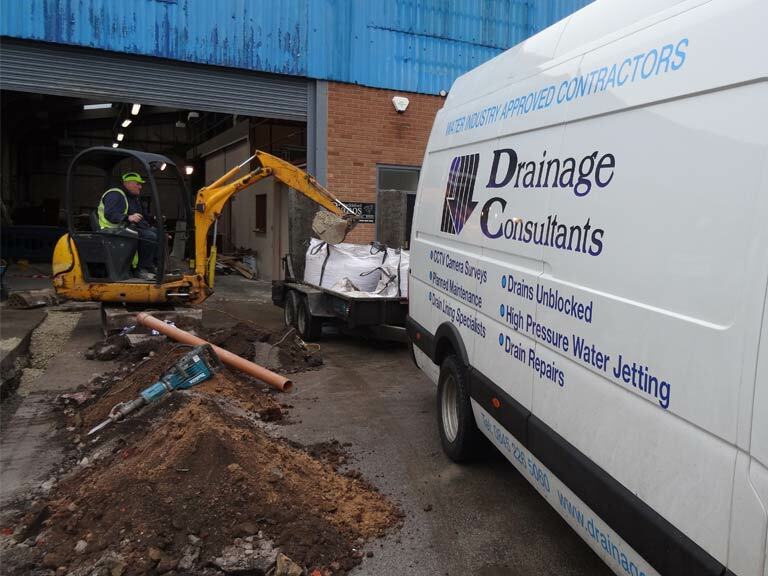 Drainage Consultants have experienced specialist excavation teams capable of working in both the private and public sectors. Our Engineers meet current Health & Safety regulations being trained to work within confined spaces and the public highway. Engineers training records are held at our head office showing their competence in excavation work, back-filling and reinstatements. 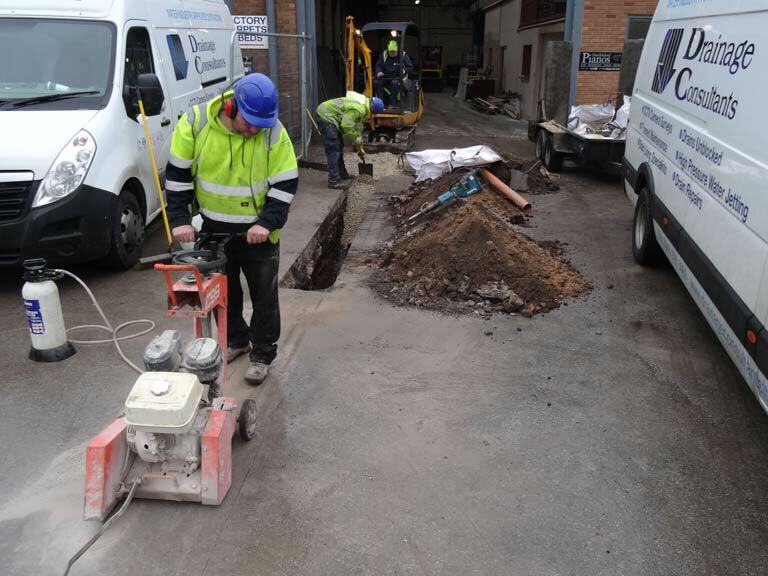 Pipes are replaced and installed from 25mm-diameter up to 1200mm-diameter in accordance with company health and safety plans and risk assessments.